There's no doubt about it - studies have shown that vitamin D3 can help prevent or reverse deficiency in babies. Also known as cholecalciferol, vitamin D3 is a fat-soluble vitamin essential for proper absorption of calcium and phosphorus and for the prevention of bone disorders. 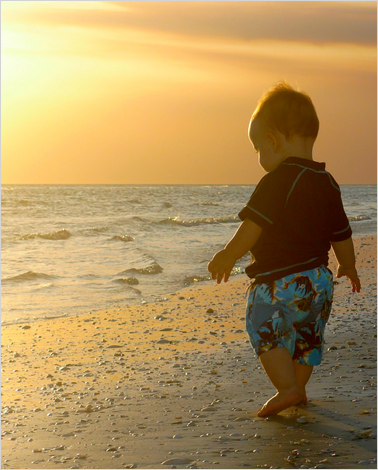 Vitamin D3 for toddlers and babies is important in maintaining skeletal integrity and in preserving their immune system. According to Creighton University, during an infant's first year, vitamin D reduces the risk of current infections and the late-life development of autoimmune diseases such as type 1 diabetes and multiple sclerosis. Apart from that, vitamin D works as a hormone that is crucial in the proper function of the body, including insulin production and cell growth. However, recent research from Mayo Clinic revealed that a lot of mothers forego supplementing vitamin D3 to babies, putting their very young children at risk of developing the D deficiency. Many of these mothers were not aware of the need to provide vitamin D for babies while others were not advised nor informed by their doctors. There were also those who believed that breast milk contained all the necessary nutrition for their babies. Some stated that giving a supplement was inconvenient while several pointed out their unpleasant experience of giving a supplement to their previous children. These types of reactions or sentiments are likely to cause health problems for children down the road. In many cases, breast milk or milk formula is a good source of nutrients for babies age 4 to 6 months. But several studies have shown the importance of vitamin D drops for babies. Here are several reasons why it is necessary. #1 . Vitamin D3 supplementation helps prevent deficiency that can cause rickets. Babies who are deficient in the D vitamin are at risk of developing rickets, a common skeletal disorder in children caused by lack of vitamin D,which is essential in the development of strong and healthy bones. 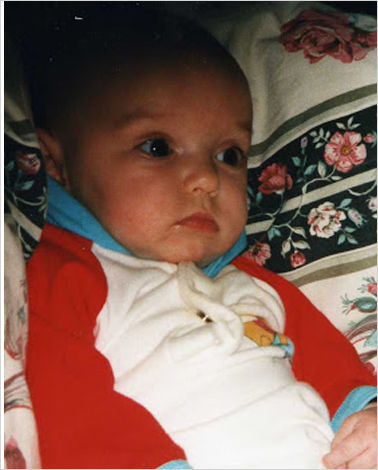 The disorder is most common in babies between 6 and 36 months old. Since a child's skeletal system is still developing, he or she is at the highest risk of rickets. There have been studies that showed vitamin D deficiency can occur early in life and that vitamin D concentrations tend to be lower in breastfed infants. In order to treat this condition, the missing vitamin or mineral has to be replaced so as to eliminate the symptoms of rickets. In some cases, rickets can be a hereditary condition. 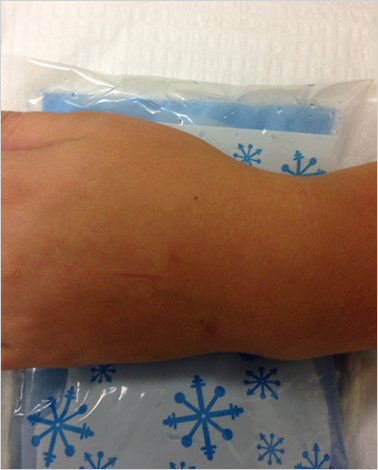 Treating it will involve high levels of a special type of vitamin D and a combination of phosphate supplements. Once the missing nutrient is adequately replaced, the disorder can be corrected. Most children suffering from rickets often see improvements around one week. While breast milk is the most excellent source of nutrients for infants, it does not contain sufficient amounts of the D vitamin. The Centers for Disease Control and Prevention states that breast milk alone is not enough to provide babies with the right intake of vitamin D. Human milk contains only 25 units of vitamin D per liter. The American Academy of Pediatrics (AAP) advises giving 400 IU of vitamin D drops for breastfed babies each day beginning in the first few days of life. One reason why breast milk is a very poor source of vitamin D is because many lactating moms do not get the recommended amount of the D vitamin. According to an article at Science Daily, which cited content provided by Creighton University, an “adequate” intake for nursing mothers is in the range of 5,000 to 6,000 IU taken daily. Lactating mothers who can get this much vitamin D per day will not only meet their own requirements but their baby's as well, which may eliminate the need for liquid vitamin D for babies. #3 . Babies who consume less than 1000mL of vitamin D-fortified infant formula per day require supplementation. What does vitamin D do for babies who consume less than 1 liter of vitamin D-fortified milk formula every day? It supplies them with the needed level of vitamin D. Although there are many milk formula options fortified with vitamin D in the market today, your baby may not be consuming enough formula daily to obtain the total daily recommendation of 400 units. According to the American Academy of Pediatrics and the Institute of Medicine, if your baby drinks less than 32 ounces (about 1 liter) of vitmin D-fortified formula a day, you should give your baby 400 IU of vitamin D drops for baby starting in the first few days following birth. Continue supplementing your baby with liquid vitamin D until your baby drinks at least 1 liter of vitamin D-fortified milk formula a day. #4 . Sun exposure is not recommended for babies. Sunlight is the best way to obtain proper vitamin D levels. With regular exposure to the sun, the body is able to synthesize additional vitamin D. However, the American Academy of Pediatrics does not recommend exposing infants to direct sunlight. Because sun exposure has been linked to increased skin cancer risk, the Centers for Disease Control and Prevention recommends protecting the skin from ultraviolet (UV) radiation all year round, not just during the summer months. The most hazardous for UV exposure outdoors in the U.S. are the hours between 10AM and 4PM Daylight Saving Time (9AM to 3PM standard time). The CDC advises avoiding the sun during the late spring and early summer, when the UV rays from the sunlight are the greatest. The downside of limiting sun exposure is that it predisposes your baby to vitamin D insufficiency. And since researchers have yet to discover the safe level of sunlight exposure necessary for vitamin D conversion, vitamin D supplementation is the next ideal alternative. #5 . Exclusively breastfed babies who don't get enough sunlight are at risk of vitamin D deficiency and rickets. Newborn babies who are solely breastfed are at risk of becoming deficient in the D vitamin and developing rickets if they do not get enough sun exposure. During pregnancy, babies get vitamin D from their mother's stores and when they're born, they obtain it from their mother's milk and from exposure to sunlight. But exposing your baby to UV radiation isn't recommended due to the higher risk of developing skin cancer. To obtain the required level of vitamin D for breastfed babies, mothers should give their baby 400 IU of liquid vitamin D each day, starting during his or her first few days in life until the weaning period. The vitamin D supplement for babies should be continued when the baby drinks about 1 liter a day of milk formula fortified with vitamin D, or whole cow's milk after age 12 months. #6 . Children with low vitamin D levels stay sick longer. A Harvard University study wanted to establish the prevalence of vitamin D deficiency in very sick children, with the hypothesis that there would be lower levels with increased severity of the illness and in children who had serious infections. The study found that there was a high rate of vitamin D insufficiency in critically ill children, which was linked to higher critical illness severity. The research also discovered that the deficiency was less prevalent in children taking supplemental vitamin D and that increasing amounts provided more protection. The researchers, who recognize the essential role of vitamin D in healthy bone development, recommend screening critically ill children with risk factors for deficiency in vitamin D and implementing methods for effective repletion. Is vitamin D necessary for breastfed babies? The abovementioned factors are key reasons why it is required. Liquid vitamin D is generally available in different doses and strengths. These range from 400 units per mL, to 400 units per drop, to 5,000 units per 5 drops. The lower doses are formulated for infants and young children while the higher doses are for older children and adults. Liquid vitamin D for baby is available in two strengths: 400 units in a single drop and 400 units per drop (or approximately 1 mL). The typical dose of vitamin D for baby when breastfeeding is 400 units. 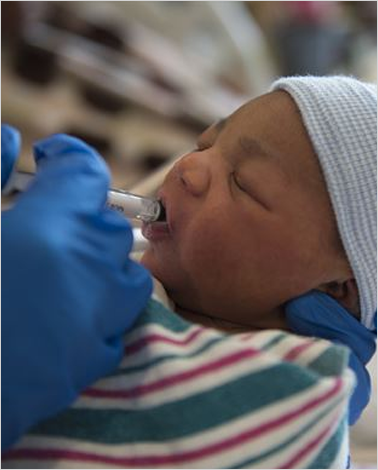 The dose is lower for partially-breastfed or formula-fed babies who consume less than 1 liter of formula every day. There are important points you need to remember when it comes to providing vitamin D supplement for baby. Firstly, talk to your doctor and verify the need for a vitamin D supplement. Typically, the doctor will determine if your baby needs the supplement and will recommend the best vitamin D drops for breastfed babies. You'll have to inform the doctor if you're breastfeeding your baby exclusively, if you're partially breastfeeding, or if your baby consumes less than a liter of milk formula daily. When your doctor recommends vitamin D3 for babies, be sure that you understand the correct dose and the units that your baby requires. Follow the recommendations to ensure your baby's safety. It is suggested that you choose a less concentrated liquid vitamin D for your baby. Always read the label and instructions very carefully to avoid dosing errors. There have been instances when parents gave their babies the wrong doses due to confusion. As mentioned, liquid vitamin D come in different strengths. There are liquid vitamin D supplements that contain 400 units in a dropperful (or approximately 1 mL) while the highly-concentrated ones have 400 units in a single drop. Dosing errors occur when parents assume that a drop is the same as a dropperful. If a mother mistakenly gives her baby a dropperful of a highly-concentrated vitamin D supplement, then she doses her baby around 40 times more than necessary. You can avoid this by buying a less concentrated liquid vitamin D supplement for your baby. Always remember that large doses of the vitamin can be dangerous to your child and can cause calcium buildup that results to poor appetite, weakness, vomiting, nausea, frequent urination, and kidney problems. Obtaining the right nutrients and eating a balanced diet regularly when you're breastfeeding is fundamental to your baby's growth and development. Vitamin D is critical as it helps you develop skeletal integrity and it works similarly for your baby. Depending on the amount of vitamin D you're getting as a breastfeeding mom, your breast milk may or may not have enough D vitamin for your growing child. Thus, it's very important that you have enough vitamin D levels yourself. To be sure, consult with your doctor about supplementation options and if it's a necessity for you. As to vitamin D3 intake for nursing mothers, there are some suggestions and recommendations from various field experts. According to an article at ScienceDaily.com, there is a lot of individual variation when it comes to intake. The resource states that, an adequate intake of vitamin D3 for a nursing mother can be in the range of 5,000 to 6,000 IU per day. Meanwhile, lactating mothers should take 6,400 IU of vitamin D supplement per day throughout lactation, suggests Dr. Bruce Hollis. He is the lead author of a 2015 NIH-funded, double-blinded randomized controlled study that concluded that supplementing mothers of exclusively-breastfed babies with 6,400 IU is a safe alternative to directly supplementing babies with 400 IU per day. A lot of adequately-nourished lactating mothers who eat a healthy diet that includes vitamin D-rich foods like seafood and dairy products, take their D supplements daily, and occasionally get sun exposure will have plentiful D vitamin to pass to their babies. As to choosing a vitamin D3 supplement, you can ask your physician for a recommendation. Ideally, you should take a liquid vitamin D3, such as Vitamin D3 Liquid Drops with Vitamin K2 MK-7 from MaxX Labs. It's easier to swallow and does not need to be broken down and digested. Liquid supplements are also regarded as more bioavailable, which means they can be readily absorbed by the body, thus, ensuring that you get their full benefits. 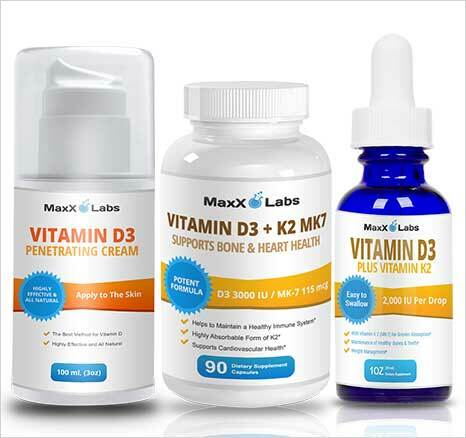 MaxX Labs' Liquid Vitamin D3 is combined with Vitamin K2 MK7, components that provide greater support for getting calcium to your bones compared with vitamin D3 alone. Each drop delivers 2,000 IU of vitamin D3, making it 4 to 5 times stronger than other brands on the market. For best absorption, place the drops directly under your tongue. Keeping this up religiously will provide your system with adequate D levels. To sum it all up, the significance of vitamin D in the earliest stages of life is widely recognized today. When your baby gets enough vitamin D, you protect him or her from the various problems that can arise later in their adult life. 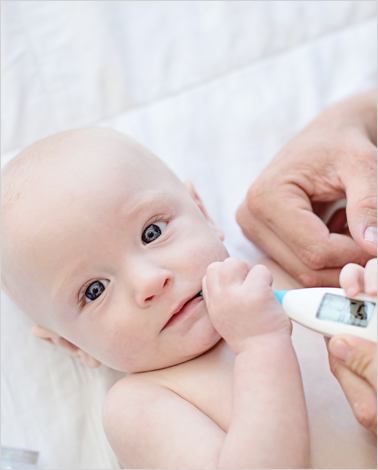 Educate yourself and talk with your baby's doctor about D supplementation for your little one. The doctor should be able to clearly explain to you the numerous benefits of vitamin D for your baby and will recommend ways that you can use to have sufficent D levels yourself.